Phase 1of the CCA multi-purpose Athletic Complex was completed in November 2016. This was made possible by the generosity of Stephen Edwards, Michael Roberts, Mark Osborne Excavating, and Shuck Fence. 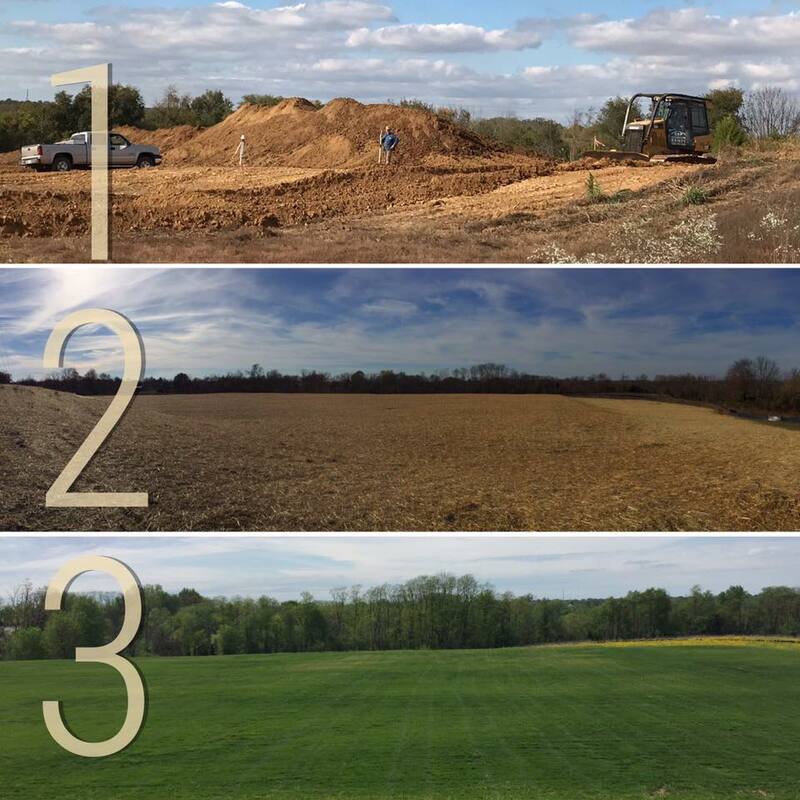 Phase 1 involved plotting out a full-sized soccer field, excavating hundreds of yards of dirt, and seeding. The multi-purpose field is now grass-covered and being mowed regularly. Summer and Fall soccer practices and games to be played on the field are currently being scheduled. The field will officially open during CCA's year-end Field Day, May 26, 2017. CCA is excited to announce that a generous donor will match dollar for dollar, up to $100,000 towards Phase 2 of the sports complex. The donor wishes to inspire and encourage other supportive donors to partner with CCA in providing top-quality athletic facilities. Upon completion, the CCA Multi-Purpose Athletic Complex will contain a multi-purpose sports field; a multi-purpose building with training rooms, storage, concessions, and restrooms. It will also contain a baseball field; along with electricity, fencing, bleachers, and other essential athletic equipment. The CCA Board, in faith, is initiating a campaign to match this grant in fully-funded stages, with a total estimate cost of $385,000. Your help is needed! Please consider making a gift to support this project. Gifts in any amount are a blessing and much-appreciated. If donating online, please remember to mark ' DONATION-Sports Complex ' on the invoice line of the payment receipt.